The severity of symptoms can be reduced for individuals with emerging post-traumatic stress disorder through the use of smart phone apps, according to a new study published in the August edition of the journal Cyberpsychology, Behavior, and Social Networking by researchers at the Uniformed Services University (USU). 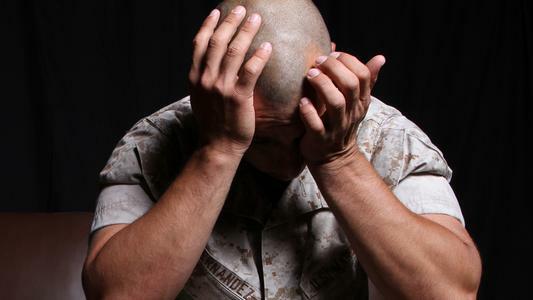 About 10 to 20 percent of U.S. service members returning from Iraq and Afghanistan are believed to have post-traumatic stress disorder (PTSD), associated with impaired physical and mental health, as well as overall functional status. Sub-threshold PTSD, defined by an insufficient number of symptoms or severity to meet the full criteria of PTSD, is even more common than PTSD. Sub-threshold PTSD also has a 25 percent progression rate to the full disorder, which underscores the importance of early intervention. Considering prior studies have shown it may be more beneficial to address sub-threshold PTSD with lower intensity treatment, researchers at USU’s Center for Neuroscience and Regenerative Medicine (CNRM), in collaboration with the National Intrepid Center of Excellence at the Walter Reed National Military Medical Center, sought to test the feasibility and effectiveness of using not-so-intense smart phone apps to help reduce sub-threshold PTSD symptoms. The researchers provided apps to 144 service members and military family members identified as having sub-threshold PTSD. The apps were designed to foster engagement in social activities, while promoting relaxation, psychoeducation, and controlled breathing and meditation – approaches that have been linked with enhanced resilience and reduced likelihood of mental health conditions. Participants were divided into a randomized group and a control group, a majority of which were men and service members, and about half had been deployed to Iraq or Afghanistan. Every day for six weeks, the researchers sent text messages to the randomized group as reminders to use the apps on a daily basis. Meanwhile, the control group received daily texts with inspirational quotes, but weren’t directed to use the apps. Participants in both groups, regardless of whether they were directed to use the apps, reported reduced symptoms of PTSD, anxiety, and depression during the six-week period. However, the group receiving daily texts prompting them to use the apps, did report using the apps more. Participants used a variety of apps, including Tactical Breather, created by the National Center for Telehealth and Technology, a component of the Defense Centers of Excellence for Psychological Health and Traumatic Brain Injury. This app was designed to teach service members how to use breathing to control their stress, emotions, and physiological responses to stress. Other apps featured techniques to help with relaxation and positive thinking via mindfulness exercises, inspirational quotes, and coping statements. Both groups of participants reported their reduced symptoms were sustained after three months, but after around six to 12 months, some showed a partial relapse. The researchers suggest evidence of relapse in general is not unexpected since PTSD, depression and anxiety are often more chronic than acute conditions. “Smartphone apps are easy to use anywhere, anytime, so military personnel could even use them just before, or during, deployment to help cope with the stress of deployment,” said Dr. Michael J. Roy, professor of medicine at USU and a retired Army colonel. Dr. Roy was lead author on the study, funded by CNRM. The researchers also suggest this app-based approach, on a long-term basis, could be beneficial in continuing to reduce sub-threshold PTSD symptoms over time, though further studies will need to be conducted. Automatic alerts could be set up on an individual’s phone, the researchers said, to help promote use of these apps on a long-term basis, or they could be promoted in follow-up visits to their primary or behavioral health care providers. Roy’s study co-authors include Dr. Michelle Costanzo, with USU’s Center for Neuroscience and Regenerative Medicine, Dr. Krista Highland, with USU’s Department of Military and Emergency Medicine, and Dr. Cara Olsen, with USU’s Department of Preventive Medicine and Biostatistics.